In any business, one of the most essential tasks is to convert the leads in your pipeline into sales. Detailed campaign planning backed by proper execution is very critical for this to be achieved. However, most companies fail to build this vital link between marketing campaigns and sales execution because of a mismatch in messages between the campaign and its execution. This gap can be bridged with the help of implementing Microsoft Dynamics CRM. Microsoft Dynamics CRM automates your entire marketing process, allowing you to better align campaigns and programs with your sales process. 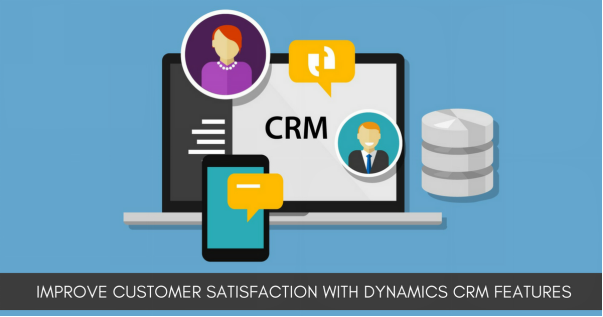 Dynamics CRM helps you to target, build, execute and measure the success of marketing campaigns with ease. It removes the complexity out of lead qualification and conversion. Additionally, the user can tailor marketing messages and campaigns much more precisely, leading to greater market share and a sharper competitive edge. Practically create, execute and track multiple campaigns quickly and effectively to maximize the value of your leads and opportunities. Convert campaigns into cash by allowing the user to monitor not only how many new opportunities each campaign generates, but also how many campaigns have resulted in actual orders. Analyze the most successful and also the least successful campaign, giving scope to continuously improve your processes. Categorize customer data to deliver a true one-to-one platform for marketing your products and services. Monitor the real time performance of each promotion so that campaigns can be customized on the fly to stay ahead in the competition. Execute, manage and monitor campaigns across multiple channels and get a single view of campaign events with reports in Microsoft Dynamics CRM. Compare different campaigns based on designs, results or work-flows. Along with these, Microsoft Dynamics CRM also has many other features using which, a user can present the campaign in a report form with all the key attributes of a campaign like time period, number of people involved, expected and actual results, workflows etc. This is essential to make informed business decisions as it assists the business user to fine-tune the campaigns and use them more effectively for converting leads. We have deployed Microsoft Dynamics CRM internally and found it essential to our marketing campaigns. Feel free to comment about your experiences as well. Microsoft Dynamics CRM can ease managing multiple marketing campaigns for your business. Increase your sales figures with the help of Microsoft CRM Development.